It's the first time for Star Cinema to hold a press conference or a bloggers' conference (usually referred to now as "blogcon") through a VOIP (Voice-Over Internet Protocol) system not because they are testing the waters or they want to headline a breakthrough but really, the actors of perhaps their biggest project this year- "Suddenly It's Magic"- are from two different countries. My eyes grew the widest it could get when I was saw the invite for the movie's blogcon. Although it emphasized that we can only interview the Asian superstar, Mario Maurer over Skype, the chance to talk to him got me very excited. It would be my second time too to meet fellow Cebuano-speaking and Davaoeña beauty Erich Gonzales so you can only imagine how thrilling yesterday's (September 24, 2012) event, which was held at ABS-CBN's ELJ Building, was for me. 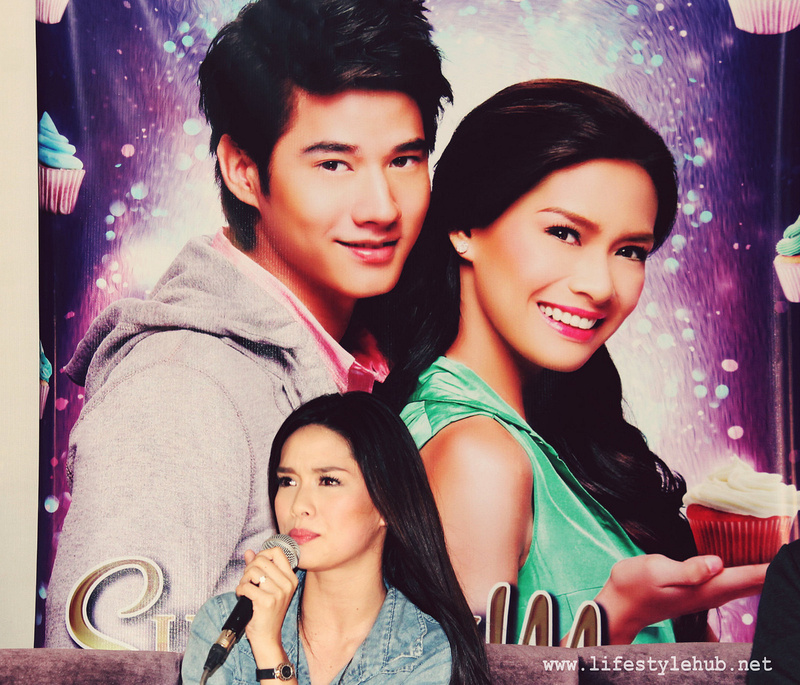 As probably all of us know, "Suddenly It's Magic" is a movie which would star both Mario and Erich and is set for nationwide release in the Philippines on October 31, 2012. Star Cinema also confirmed that the movie is set to be shown in Thailand but in a later date. In the movie, Mario plays a character similar to his real-life stature, a big Thai actor named Marcus Hanson. After a break up with his on-screen partner and real-life girlfriend, he impulsively decides to go on a vacation in the Philippines in an attempt to escape the media hype brought about by his love story. Here, he found Joey Hermosa (Erich Gonzales) and eventually fell inlove with her. The conflict in the story began when the fans and the overprotective mother of Marcus wants him to reunite with his ex-girlfriend and leave Joey. The movie is shot in the Philippines in majority with some scenes in Bangkok. Star Cinema's Enrico Santos said that the movie is not all about love teams. "Of course, this is a love story but this is also the director's (Rory Quintos) way to show her love for her country. Ginandahan niya ang mga shots sa Ilocos (Norte) to show that the Philippines is not second only to any country", he said. The movie was mostly shot in the beautiful sceneries of Ilocos Norte, Paoay Church included and the breathtaking windmills in Bangui town. "If may mga buddha and temples sila doon, tayo may fiesta, may Hispanic churches, may windmills, may beaches", Santos added. 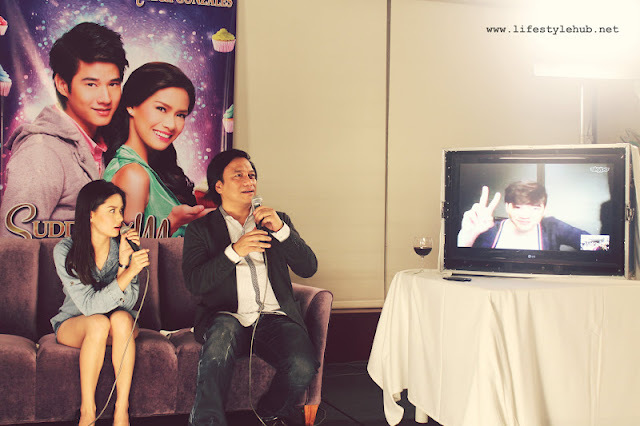 While waiting for the Mario to be live on Skype, Erich was goofy with the bloggers. She shared how she calls Mario "bro" and how Mario would call her "sis". "Parang di ata alam ni Mario na ganun siya kalaking star, di lang sa Thailand kundi dito din naman sa Philippines. He is just very quiet in the set. When we were shooting in Thailand, dinalhan niya ako ng folding chair sa tent and pinatikim din niya ako ng Thai food", Erich narrated. This solicited a reaction from the blogger from which Erich was so quick in saying, "He is very happy with his 9-year relationship Gubgib. So 'yun", she said with a laugh. 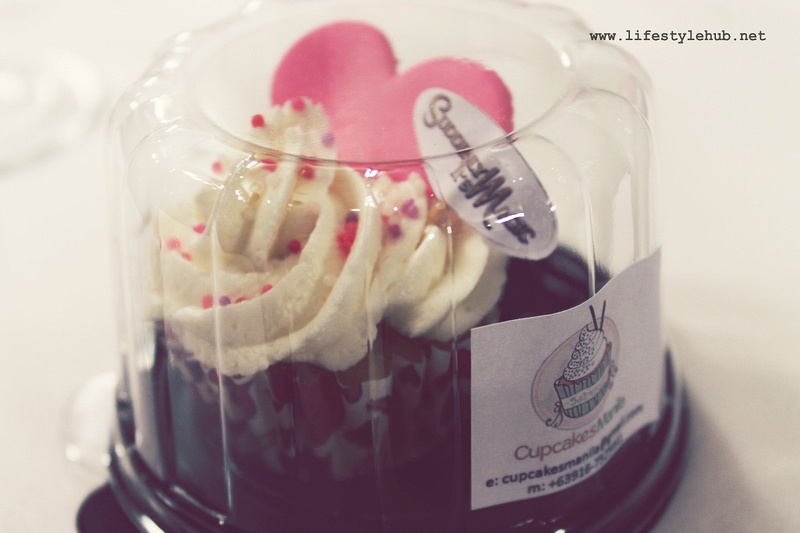 This a real cupcake, their giveaways to bloggers who attended the event. So cute! Erich also shared how Mario made an effort to study the Filipino language. "May alam siyang mga words and tanong siya ng tanong. 'Yun nga lang, ang daming tinuturo ni Joross na kung ano-ano sa kanya and gusto-gusto naman niya! 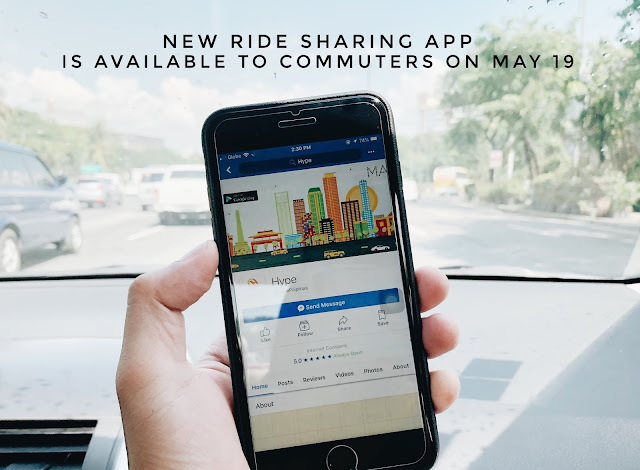 ", Erich added. Jorross Gamboa is one of the supporting actors in the movie together with Guji Lorenzana, Ces Quisada, Cacai Bautista and Thai actors John Lee and Pimchanok Luevisadpaibul. Contrary to what fans know, the movie was just shot for 21 days in both the Philippines and Bangkok. Though it was the post-production process that took some time. "Bigla siyang sumikat sa China in the middle of the movie na sobrang konting time lang yung kaya niyang maibigay", Enrico Santos said. "But this is the planned date. We really want the movie to be released last quarter of 2012", he added. I will no longer share to you the details of the Skype interview as I am sure this video will suffice. Enjoy!